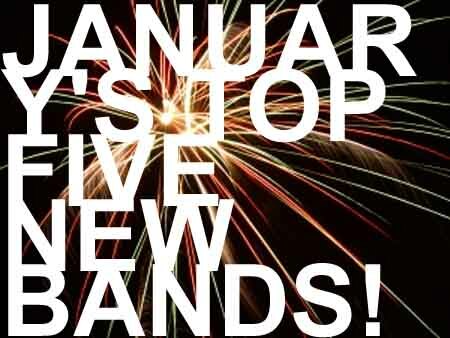 Radio Show // January’s Top Five Bands! 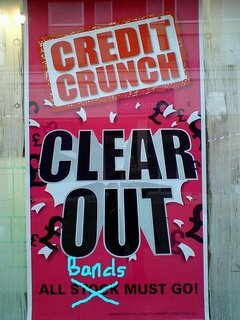 Such was the hustle and bustle in ANBAD towers at the turn of the year – with the relaunch of the website causing both sleep and hair loss – that the fine array of ace new bands almost got forgotten. Well, almost – they nearly became overlooked but the day’s fiftieth cup of coffee brought them back into sharp, lovely focus. Congratulations to them, one and all. More great bands, naturally, next month. >September’s Top Five New Bands! Run DMT are worthy winners indeed – flexible, awkward and, dare I say it, avant-garde: well worth ten minutes of anyone’s time. And speaking of time, I promise that the round-up for this month will be published when it should be. Honest gov’nor. 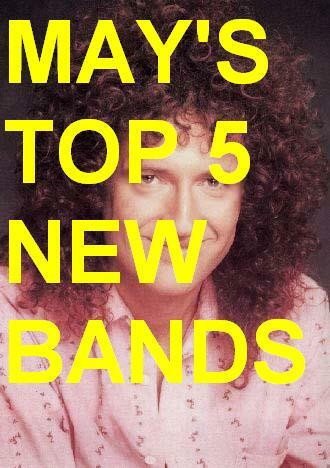 >May’s Top Five New Bands! >In a month where the world has apparently readjusted it’s collective taste-barometer to read ‘Crazy’ and decided that SuBo is actually Elvis, Billie Holliday and Jesus all rolled into one big, hairy, overwhelmed package, perhaps listing May’s Top Five Bands is a moot point. Listing Susan Boyle in places 1-5 would not be the most inexplicable thing to do right now. See? 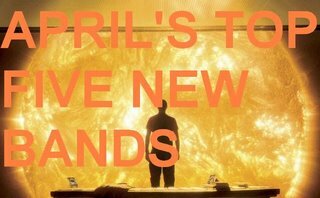 A great month of new bands. And not even a hint of Oh-Look-The-Fat-Ugly-Lady-Can-Sing-Like-A-Normal-Person condescension. Vote BethHo, not SuBo! 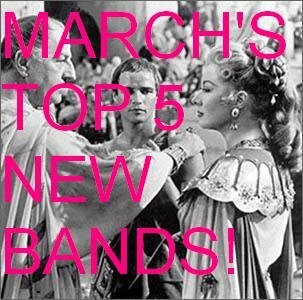 >April’s Top Five New Bands! >April, according to Disney, should have been full of drip-drip-dripping showers. Not here in grim old Manchester, which defied type and, in what was clearly a crazed moment of weakness, allowed 100%-genuine, Vitamin-B-giving, skin-frazzling sunshine through the usually oppressive grey skies. Inevitably, the shedding of clothes, optimism and a sunny disposition followed, and this feeling was reflected in another ace month of great new bands here on ANBAD. So congratulations Mat – a worthy winner. 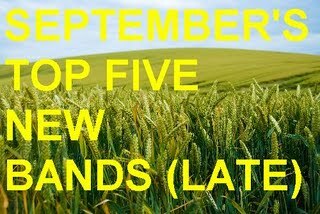 More great bands coming up this month, guaranteed – so KEEP IT LOCKED, as they say on local radio. And today, in semi-reference to the South By South West festival taking place, all the bands are from the USA! Thematic-tastic! Hey! Ho! Let’s Go! The Steps – Not the hellish late-90’s novelty disco-pop-gone-bad multi-million selling quintet, but the gusty rock behemoth-to-be from Austin, Texas. They grind out dinosaur-wrestlin’ rawk songs that will punch you in the face, steal your wallet and then invite you to join them in a round of drinks bought with the money. And you’d say yes. Leisure Pills – Dreamy, easy-going, driving, rock (Note: not Driving Rock, which is an altogether different, awful, beast). You can actually hear that they’re from the west coast of America. The audio equivalent of lying on your back and looking up at the clouds. Kill Cupid – Almost entirely made of demented rock crashing noise, Kill Cupid are brash, loud and excitable. Their songs might not deal with one’s inner turmoil, or ruminate on humanity’s place in the universe, but they can, like, totally produce some ace riff-o-rama songs that demand heads to banged and pits to be moshed. Shenandoah Davis – The antidote to the masculine, testosterone-drenched excess of the previous bands, Shenandoah Davis writes gentle, uncoiling, happy songs that engage, delight and swoon. Songs like Up And Over are soaring, twinkling gems; beautiful, fragile and calm. Bold and sweet, her songs tell intriguing stories, or fragmented tales, or whispers from inside her mind. Highly recommended. Phew! 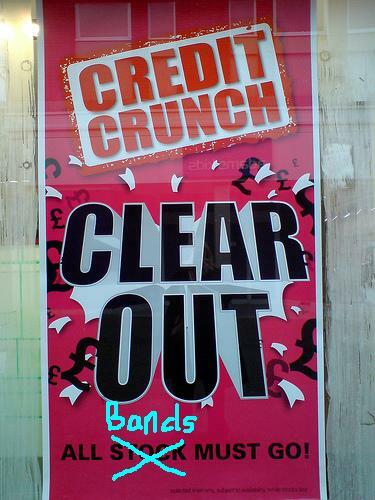 Four more bands – that’s nine this week now. Have a nice lie down now. You deserve it. We know we do. Remember – things’ll return to normal on Monday when we get back from sunning ourselves abroad. See you next week! 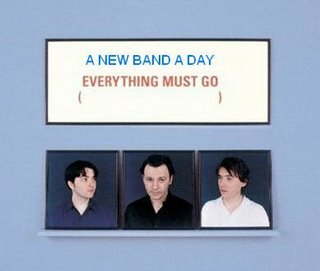 >ANBAD Band Clear-Out Special Day One! >We’ve decided to elope on holiday for a few days, taking a well-earned* break somewhere in continental Europe where the weather isn’t so determinedly grey and lifeless. Super. I’ll bring you back a straw donkey and a foul-tasting obscure foreign liquor. It also gives us an opportunity to demolish the ANBAD New Bands Stockpile – the depository of bands that are on the list to be featured on the website, but haven’t yet. This is due to the fact that we find more new bands we’re desperate to feature than we have days to write about them. And to think that when we started this we were worried that we wouldn’t be able to find enough. So, today brings you a whole load of new bands. Don’t ever say we don’t care about you. Interlard – Frankly, with a name as brilliantly stupid as this, I have no idea why they weren’t featured sooner. Interlard make loud, soft, mind-shredding noise that soothes and smashes your poor, fragile human bones at the same time. Lovely, worrying and dangerously hypnotic. The Guilty – Crashing, quirky, clattering quasi-punk that throws in synths just when you don’t expect them. They’ve got a knack for niggling melodies, nagging choruses and high energy (not Hi-NRG). Futuristic Retro Champions – Oxymoronic name: check. Soft, fun ‘n’ sensuous synth-y songs: present and correct. Sweetly feminine pop songs of the like that there aren’t enough of in your life: in spades. Another lovely band from the steady stream of bands trickling out of Scotland. Shimmery, electro, unlikely, lovable. Great! DJ White Noise – Collector of today’s Most Appropriate Name Award, DJ White Noise uses all those bits of the sonic spectrum that most people try to keep out of their songs. It’ the audio equivalent of soup-making with the chicken carcass and left-over veg – and with similarly tasty results. Throbbing, inventive and gently looping. A subtle treat. Now that’s service! Four tip-top quality bands in one day! Are we setting standards of service that we’ll never be able to maintain? Oh, we don’t care – we’re eating tapas in Madrid. More tomorrow!